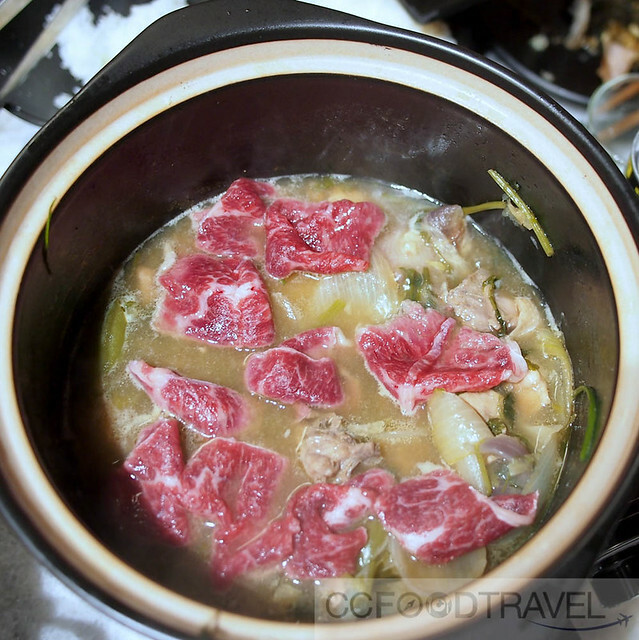 When the weather turns in Hong Kong and there’s a faint chill in the air, locals reach for the comfort of the Hot Pot. 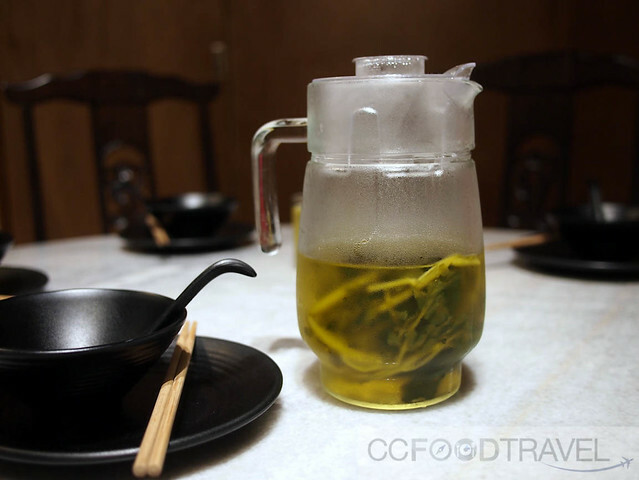 There’s nothing more pleasurable than digging into steamy, Sichuan peppercorn soup and welcoming the familiar numbing sensation of the Malat, as it spreads over your mouth and tongue. On the menu, you can tick to select – mild hot to extra hot .. OR mild numb to extra numb! And the As You Like Hong Kong Chicken Pot is one of the popular Hong Kong chicken hot pot franchises that has reached our shores. The name just means that you can adjust the numbing heat factor, “as you like”. 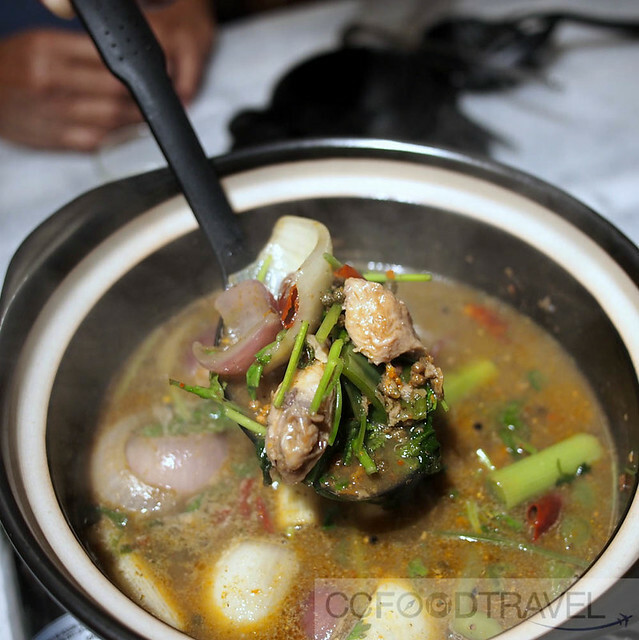 Famous for its chicken hot pot which is actually a half chicken broiled in broth (RM58 per pot, if you get two types of soups its RM98). The tender juicy chicken pieces and vegetables do well with rice, but don’t stop there. Let the menu tempt you with half a dozen other items that you might add to the fiery cauldron. 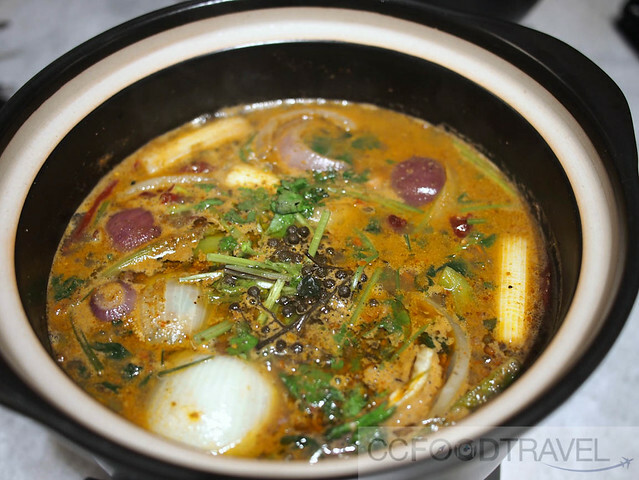 The best part is when the hot pot takes on the flavorful taste of all the added ingredients. One pot feeds 4 people nicely. There’s also a non spicy version which is great for kids. 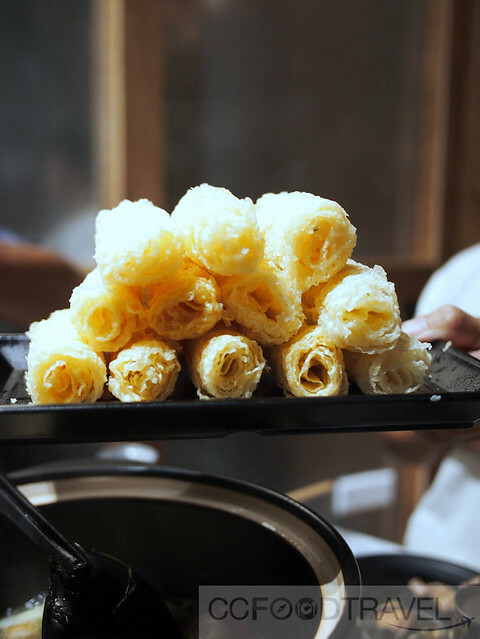 A must try is the fried fish skin, and fried fu-chok rolls – dunk them in the soup or eat as is. But As You Like Hong Kong Chicken Pot is not just about the Chicken. 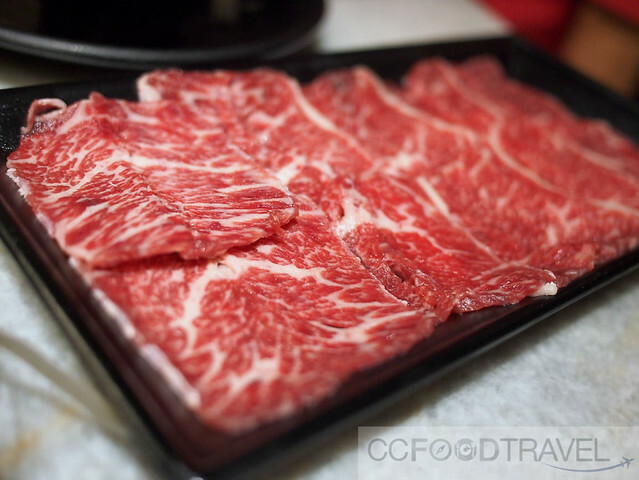 They do Angus beef slices, and also Dry Pot Crabs, Mini Lobsters, Grouper fish etc..
Angus beef being quickly cooked in the non-spicy soup. Don’t waste such prime cuts of beef by over cooking it! 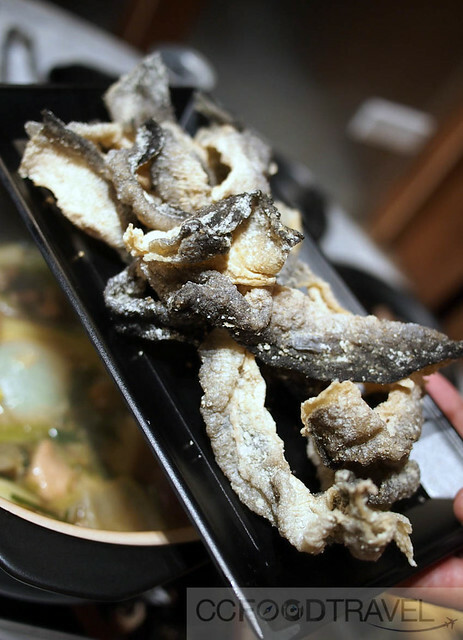 It’s really not just about chicken but includes seafood as well. 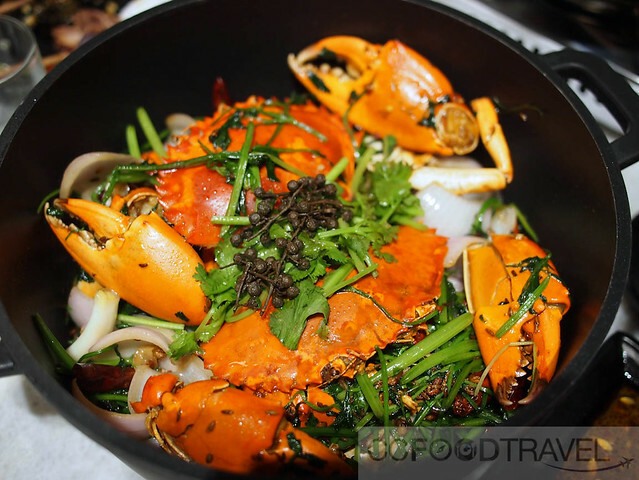 These crabs were juicy and cooked to perfection in dry hot pot style. Just a trace of malat on the tongue which was perfect. 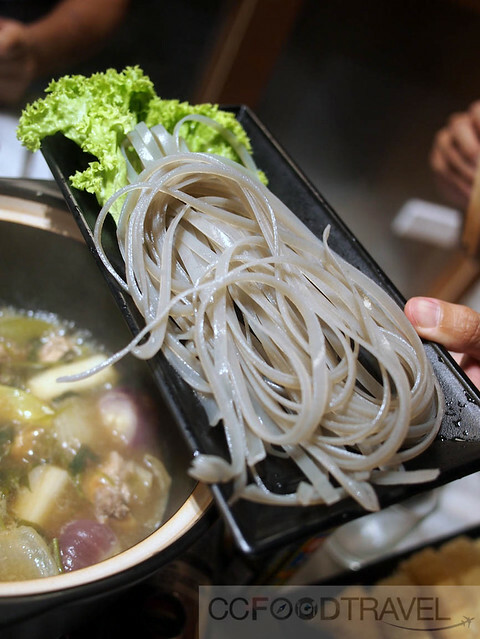 For noodle fans, don’t miss the tapioca noodles for that irresistible springy bite – just 30 seconds in the hot pot an it’s ready to be slurped. 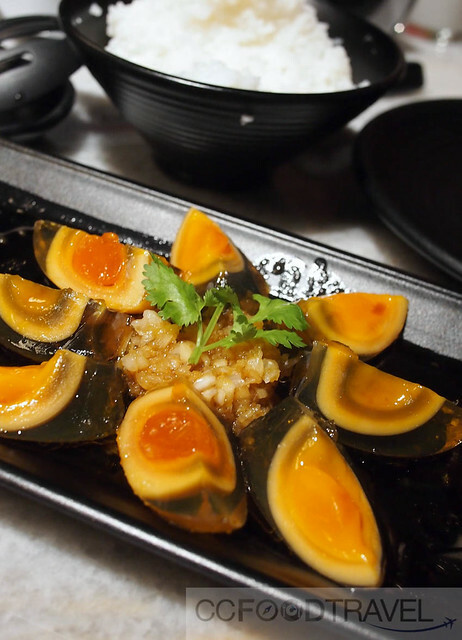 And one of my favorites that I highly recommend is the imported century egg. Even the color shows you it’s special. Don’t forget to slather it with the raw garlic in the center. So good I got goosebumps! Homemade watercress + Honey – to wash away the heat ..
Cooling Coconut Juice .. down it before you go home! Really good you should try it! Very.. if u like heat!